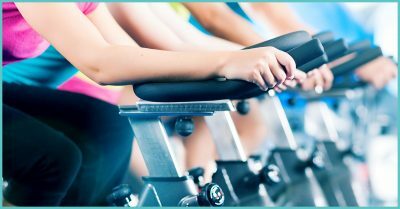 Spin classes, as we have pointed out before, have a long-standing tradition in the world of fitness. From leg-warmers and headbands to moisture-wicking shirts and yoga pants, spin holds a place for anyone hoping to get in shape. SweatHB is proud to provide 50-minute RealRyder™ classes to those looking for a change in their cardio game. We also love to point out that RealRyder is a great option for anyone who is searching for a way to move into outdoor cycling. SweatHB has some reasons why you should use our RealRyder classes in order to prepare you for your next cycling adventure. 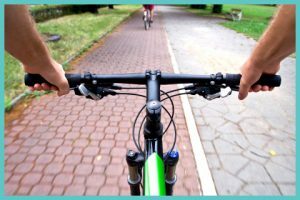 It can be very easy to fall off the wagon (or in this case, the bike) when it comes to a consistent cycling regimen. We know that life often has a way of interfering. It is difficult to admit, and you may feel that you can jump back on the bike and pick up where you left off, even after three months off. Doing that, you may find your legs are not as well-conditioned as they had been recently. If you want to ease yourself back into shape without torturing yourself by riding up hills for hours on end, our RealRyder classes are a great choice to do so. With a more natural riding simulation, including leaning and steering, you will be able to recreate a feeling of riding your road bike and reincorporate cycling into your fitness routine. Convincing yourself to go on a ten-mile ride every other day can be difficult. The fatigue might set in around mile six, and rather than finishing, it can be easier to tell yourself that you will make up the last four miles tomorrow, when we all know you probably won’t. Instead, our RealRyder classes give you the motivation to push through your fatigue. Being surrounded by other people who are in the same situation can be a strong motivator. A class atmosphere will foster a fitness community of people who want to help each other succeed and help you reach your cycling and health goals. Much like motivation, sometimes choosing your riding path can be just as time-intensive as the cycling. Knowing where hills, curves, and high-traffic areas reside, in conjunction with the time commitment a long ride requires, can be an inconvenience when you are in a time crunch. Rather than taking the time to map a ride and worry about how long it may take, you can resolve that problem entirely with a spin class. With set start and end times and a course already taken care of for you, SweatHB’s RealRyder classes take the stress out of planning a cycling workout and allow you to focus on the spin. RealRyder spin classes at SweatHB are a great way to get yourself back into cycling shape. If you want a cycling experience in a group setting, our spin classes are perfect for you. Take a look at our class schedule and find one that is right for you!